This tutorial uses PHP and Apache as the HTTP Server. The PHP tags indicate where the PHP code begins and ends. The user agent is retrieved from the header “HTTP_USER_AGENT” and converted to lowercase. The mobile devices are placed in an array which can be expanded from the example. The mobile device array is converted into a string divided by a vertical bar or pipe symbol by the function userAgentContains. Finally the user agent string is checked to determine if its content matches any of the predetermined mobile devices. If a match is found, the screen output will be “is mobile device”. Save Mobile-Device-Detect php file in server path. Compare output between desktop and mobile browsers. The HTTP_USER_AGENT user agent string can be used to detect mobile devices. The string can be changed to lowercase or uppercase to eliminate errors in detecting mobile devices. Detect occurs by matching specific devices to content in the user agent string. PHP runs on the server side. Using PHP to determine mobile devices is cross-browser compatible. Place your PHP code on the server. 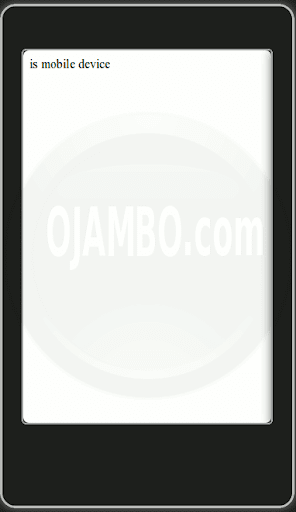 Mobile detection allows a web designer to present specific stylesheets. This entry was posted on Wednesday, October 3rd, 2012 at 12:00 am	and is filed under Tips & Tricks. You can follow any responses to this entry through the RSS 2.0 feed. You can leave a response, or trackback from your own site.